Daytime naps might last just a few short hours, but they can affect all twenty-four hours of a child’s day. Naps can improve a child’s mood and reduce fussiness, crying, whining, and tantrums. Studies show that children who nap daily get sick less often, grow taller, and are less likely to be obese when they grow up. Naps enhance attention span and brain development. Naps can also help make up for any shortage in nighttime sleep. Even a one hour shortage in overall sleep hours can have a negative effect on a child – compromising alertness and brain function, and increasing fussiness and fatigue. Solutions: Think about any changes in your child’s life, growth or development. Has he learned to crawl, begun to eat solid food or started daycare? Any change can also affect sleep patterns. Watch your child for signs of tiredness between naps and adjust your schedule to meet his new needs. Solutions: Naptime, bedtime, mealtime, exposure to light and darkness, and activity all can affect your child’s biological clock. Look at your child’s schedule to be sure these things occur at reasonable times every day. The improper order of things (such as active, brightly lit playtime just before bed) can affect your child’s rhythm. Solutions: If on weekdays nap times, bedtime and wakeup time are specific, but on weekends they’re hit and miss, then your child will be functioning with a constant bout of jetlag. Other inconsistencies can also affect this, such as when your child naps at a certain time at daycare, but a different time at home, or if he takes a nice long nap on days when you are at home but takes a short one in the car (or skips a nap entirely) when you are on the go. Set up a possible nap schedule for your child and do your best to stay within a half hour of the nap times that you have set up. Solutions: If you miss your child’s signs of fatigue he can quickly move past his tired spell, past overtired, and into a second wind – that state of artificial energy which often brings with it more crying, fussing, whining and tantrums. When you miss your child’s tired signs it also means he won’t be able to fall asleep when you do finally put him in bed. To learn your child’s sleepy signs it can help to watch him in the hour after he first wakes up in the morning, when he is well rested. Compare this to his behavior during the time from dinner to bedtime, when most children show signs of fatigue. As his usual bedtime draws near, make note of how his behavior and body language differs from when he is alert and refreshed. Aim to put your child for a nap as soon as he shows signs of fatigue. 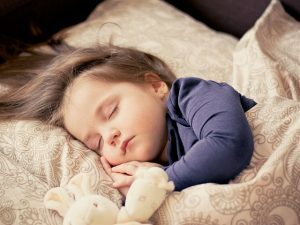 A tired child will fall asleep easily and sleep longer and better. Solutions: A child who is accustomed to falling asleep in one very specific way can easily become so used to this one method that if you try to have him nap under any other condition he would be physically unable to do so. The best way to understand a child’s association needs are to examine them from your own viewpoint. It’s possible that you sleep well in your own bed but struggle to sleep at a hotel or someone else’s home. Some children’s sleep associations are so strong it can only be compared to asking you to sleep on a roller coaster! The most common nap-preventing associations are breastfeeding or bottlefeeding to sleep, being held by loving arms, or sleeping in a swing, bouncer or car seat. These are wonderfully comforting places for a child to nap – but when they become necessary for sleep then it’s likely to cause a problem for the parent who must provide naptime services. These associations are usually so necessary to your child’s sleep that they override every other reason or solution. Because these are complicated issues each of these associations has its own chapter of information and solutions in other parts of this book. Solutions: The very first stage of sleep can last as little as five minutes and can reduce feelings of sleepiness– it lifts the lid and let’s the steam out just enough. If your child hits a tired zone and is lying on the sofa, sitting in a swing, or going for a ride in the car, he may nod off for five or ten minutes. This micro-nap doesn’t give your child the full benefit of a real nap, but can be just enough to rejuvenate him and prevent him from being able to sleep when you put him in bed later for a nap. To circumvent this problem, avoid putting your child in a nap-inducing environment, like a ride in the car, or time in his swing, at a time when he’s likely to need a nap, unless you can leave him for a full long nap. Solutions: If any health issue is bothering your child it can definitely affect his sleep. Allergies and asthma are two of the most common childhood diseases. Both of these conditions can make it difficult for your child to breathe comfortably when lying down. Colic, reflux, ear infections and difficult bouts of teething are other conditions that can prevent a child from napping well. If your child suffers from any medical issues good naps are especially important for his health. If this is the case with your child it will be helpful if you are very flexible and open to finding any solution that helps him sleep. Put aside any notion that your child must sleep in a certain place or a certain way, and open yourself to the concept that any nap is better than no nap at all. At the same time, talk with various medical experts about your child’s health matters and look to find the best solutions for your child. Maintain a consistent daily schedule that works with your child’s natural body clock. Create a predictable pattern to the day – with meals and naptime happening at reliable times. Modify your schedule according to your child’s sleepy signs. No matter what the clock says, it’s nap time when your child becomes quieter, loses interest in toys or playtime, fusses, stares off into the distance, rubs his eyes or ears, and of course: if he begins to yawn. Have a relaxing pre-nap routine to cue your child that naptime is here and help him wind down and relax. Set up a sleeping place that is cozy and that sets the stage for sleep. Dress your child comfortably for sleep. Keep mornings bright and active, and the half hour before each nap session quiet, dimly lit, and calm. Keep in mind that you cannot force a child to sleep, but you can follow the basic rules of biology, gauge your child’s sleepy signals, and create a setting that is inductive to sleep and relaxation. Summer is a wonderful time for kids! There’s nothing like a little fun and relaxation during the warm summer months, but for working parents, it could be the opposite. Your schedule likely doesn’t slow down once summer rolls around and it may even be causing you some anxiety thinking about trying to scramble to find reliable childcare while you’re at work. Day camps, relying on friends and family to serve as babysitters, and taking vacation time will only go so far. TLC for Kids has the solution: hire a summer nanny. Your kids will love having a nanny to hang out with and take them places. You will love not having to figure out childcare on a week by week basis. A stress free summer for everyone! Thank you to Homework Solutions for sharing this article. 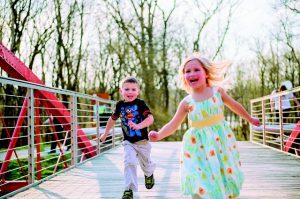 Click here to read about some other benefits of hiring a summer nanny.